Yum! With holiday entertaining in full swing, you might want to add a few of these treats to your menu. 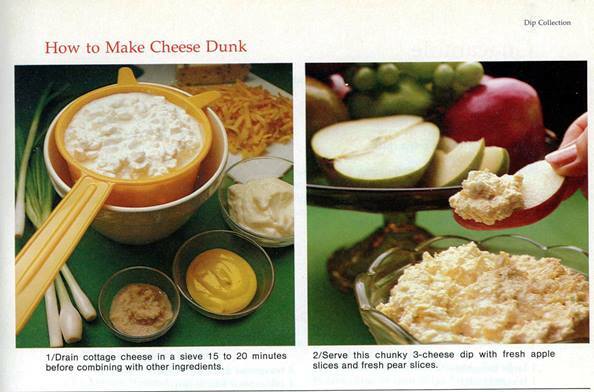 As you can see from the pictures below, there is a whole lot of interesting recipes to try. 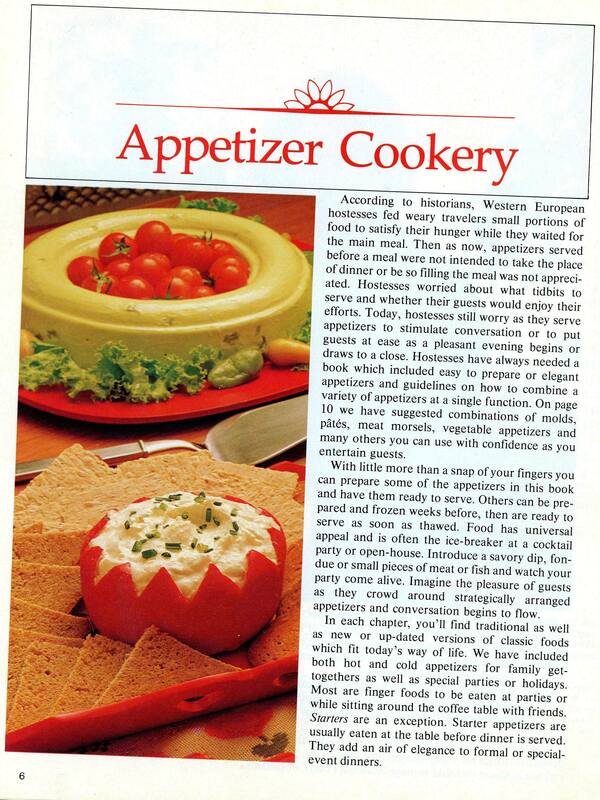 Of course we have a few molded recipes as appropriate for the era. 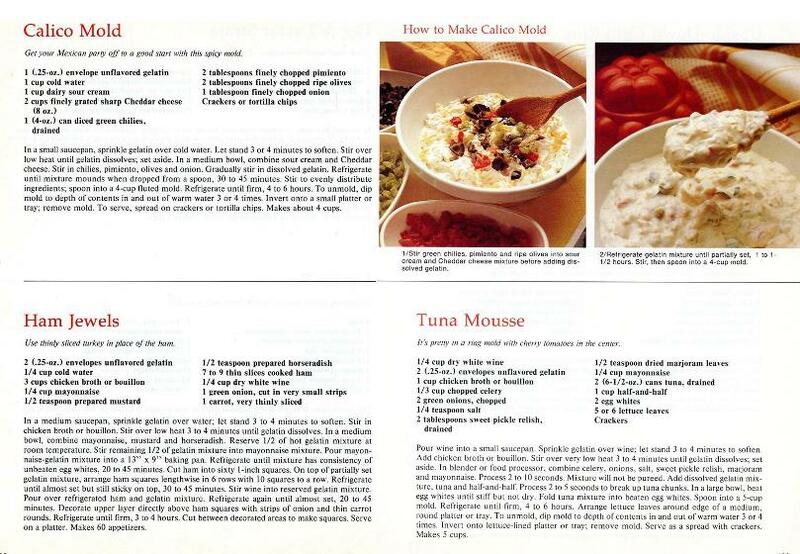 Tuna Mousse and other molds and loafs are all over this book. The color selection ranges from a pale pink to a lime green. I shudder to think what these taste like. 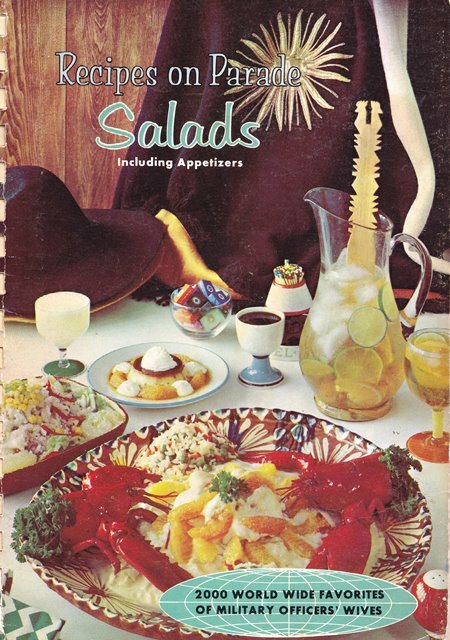 As a cookbook, the layout is terrible. Pictures illustrating techniques are not always located near the recipes. I had to search around for the companion recipe. Not good for 1980 and really not good for 2017. The in-tact head of a fish looking at you as you’re digging into its flesh….appetizing! That’s actually part of the platter! 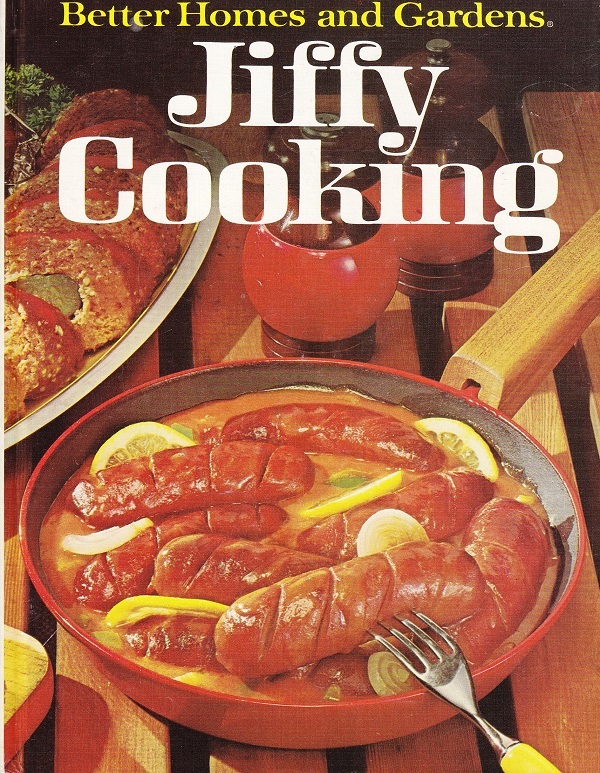 I read a complaint against the word “Cookery” by a librarian a while ago. Yeah, Sanford Berman. While he’s right to object to library headings using terms that refer to people and that are now considered derogatory, what’s wrong, apart from sounding a little old-fashioned, with “cookery” ? That is him. 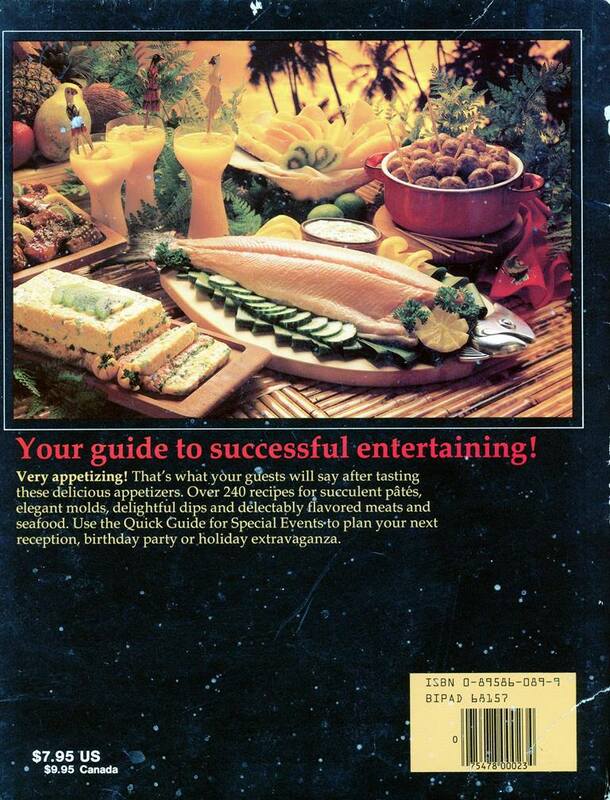 I remember his objection was just that it was dated and unlikely to be helpful to patrons looking for “cooking”. Now that we have search engines, I think that is a little less relevant. FlowCoef, as a college library cataloger, I put a lot of effort into selecting subject headings that actually help library patrons find the book containing the information they are looking for. 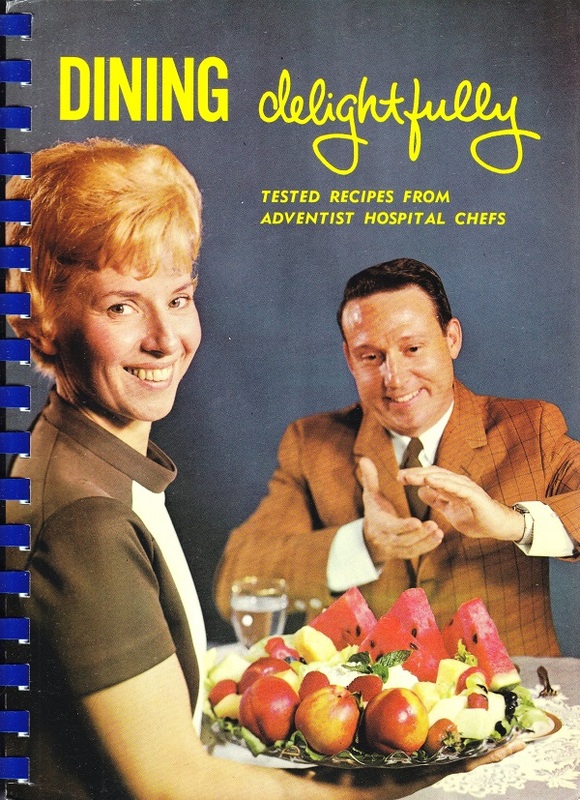 How many people do you know who walk into a library looking for cookbooks and type “cookery” into the online catalog? Although that is the officially (ALA) accepted subject heading, I always added “cooking” to the record. Our students had enough trouble learning to use the catalog without assuming that they would know to use arcane words for subject searches. A search engine is only as useful as the data entered into it. Cookery reminds me of the word mopery from the movie Revenge of the Nerds. Flight of ideas? I should embrace my neuroses! 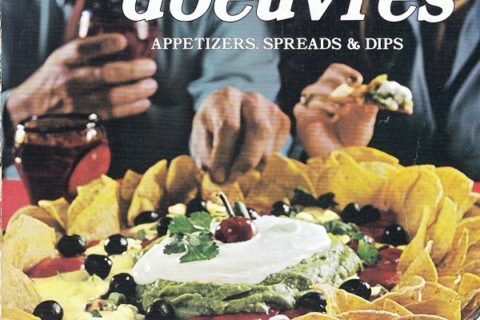 Actually, that stuffed cucumber thing looks… interesting. 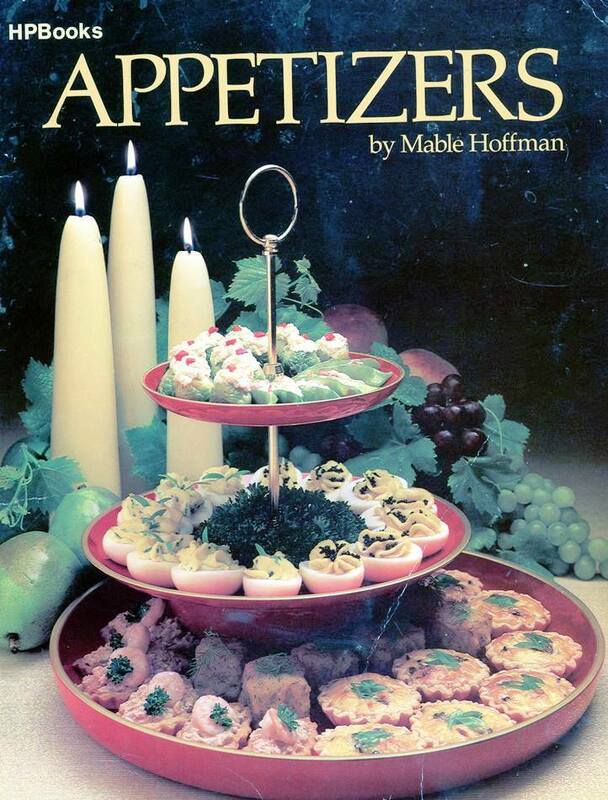 Though I want to know how you keep the middle from dropping out onto the eater’s hand when they pick it up from a tray after it’s been out of the fridge for a while. I thought so, too!! 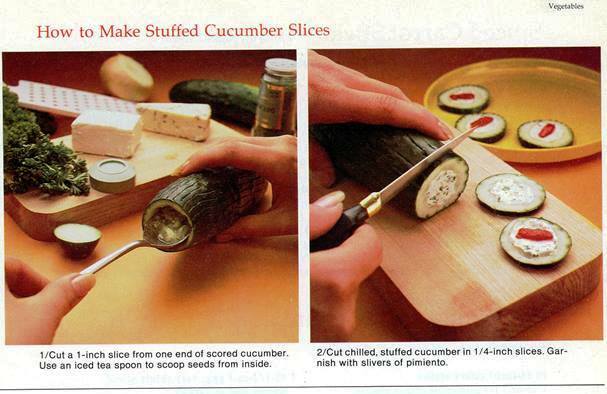 I’m going to try it with a peeled cucumber, though.